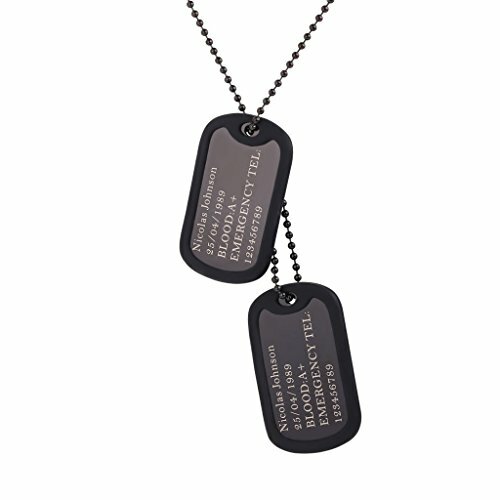 2 Pieces Dog Tags. Pendant size: 5.2 * 3 CM. Chain length: 60CM. identity tag. Chain type: bead chain. Gift wrapped: come with U7 design box. If you have any questions about this product by U7, contact us by completing and submitting the form below. If you are looking for a specif part number, please include it with your message.